EU finance ministers will hand back the tablets after the two-day summit concludes at Dublin Castle this weekend. EU FINANCE MINISTERS will get free tablet computers for the two-day summit of the Economic and Financial Affairs Council in Dublin this Friday and Saturday. Under an initiative involving technology companies Dell and Microsoft EU ministers and Central Bank governors will be given Dell Latitude 10 tablet computers with Microsoft Windows 8 and Office 365 for the meetings. But they will hand them back once they finish at Dublin Castle which is playing host to the meeting as part of Ireland’s presidency of the European Union. The Department of Finance wants to have a fully paperless meeting and sees the initiative as a “high profile opportunity for us to demonstrate that the Irish Presidency is embracing new technology and supporting the Digital Agenda”, according to Finance Minister Michael Noonan. “We are very grateful for the support of Dell and Microsoft with this initiative and believe that the technology provided will enhance our ability to have a productive and impactful meeting,” he said. The tablets are being provided at no cost to the Department according to a spokesperson, with Dell and Microsoft offering them to ministers and officials free of charge. The tablets will be preloaded with relevant documents for the meeting and will be fully encrypted for security purposes. After the meeting the ministers and officials will hand the tablets back and depart with a secure USB key containing all of the information they discussed at the meeting. 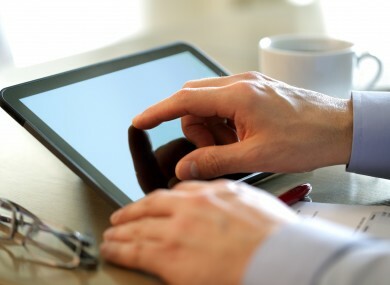 Email “EU finance chiefs to get tablet PCs for 'paperless' Dublin summit ”. Feedback on “EU finance chiefs to get tablet PCs for 'paperless' Dublin summit ”.